Sometimes, a person’s route to being active within their branch is not a simple one. They may not know much about trade unions, be ignorant of the benefits they enjoy that were fought for by members locally, regionally and nationally, or – in the case of ULR Julie Harris – have been actively opposed to trade unions full stop. So, how then, does someone opposed to trade unions become an organised and active Union Learning Rep in one of the South East’s biggest branches? We asked her some questions to find out. How long have you been a UNISON member? How long have you worked in a role where you could have been a UNISON member? I have been a UNISON Member for just a year. However, I could have been a member for 16 years now. You’re quite open about being historically anti-union. Can you think of a reason for this? Was because of your personal politics, or a specific incident? Maybe both? A lot of it stems from a parental influence growing up, and the historic Union activity in the 70’s and 80’s that I saw as bad. Generally, I formed a poor opinion of unions from the negativity of news broadcasts and other friend’s views. I’ve recently watched Back in Time for the Factory on BBC2, which discussed factory trade unions in the early ‘70s, and how for women organised to improve working conditions. So, as an adult now with my own opinions, all I can say is thank you to the women that have achieved so much within any union. When you were anti-union did you ever see the union doing good things in the workplace? If so, how would you have reacted to this? I honestly did not have an interest in Unions back when I started at SCC. I knew they acted on behalf of some wardens that were in UNISON and Unite and there were a few strikes when we were going through another restructure, or when some workers disagreed with what SCC decided. The only major event was when the bin men went on strike (2011). Did you ever have an experience in the past where being a member of the union would have helped but you still did not join? If yes, why was this? I think there would have been many occasions where, had been a member, I could have got some help, as I now know they are many different people within UNISON that would listen with an unbiased opinion and help in any way they can. Can you pinpoint a specific incident or person that changed your mind? Was it an instant process or did it take some time? The branch Lifelong Learning Coordinator, Martin Merritt, encouraged me to join after a discussion about work-related issues. Once I made up my mind to join I did so very quickly. What, in your view, is the most important aspect of being in a union? Coming to the realisation that help is available with work-related issues. It may even be just to talk to someone and see if they can direct you to get help, and it may not always be work-related as UNISON can offer much more than I knew about. After joining, I soon found out that within the branch the staff are extremely helpful and are doing a great job. Also, the continued support is there if and when I need it. What do you enjoy most about being active in UNISON? The opportunities they have offered myself since joining and being encouraged to become a rep. Also, the training courses and conferences I have attended that resulted in meeting some lovely people. I also have a lot planned for the coming months. What would you say to a person who is in the position you used to be in? How would you persuade them to join UNISON? JOIN and take advantage of the opportunities that are available. Training to become a rep is challenging, but it certainly opens up the mind and leads you in a different direction. Then comes the time to help other people – whether they are work colleagues or from a different line of work. You can encourage them to enhance their own training and understanding within UNISON. Don’t just pay your fees and wait till something goes wrong at work. Get involved and join in the future of yourself, because then you can be the future for someone that needs help, assistance and understanding. 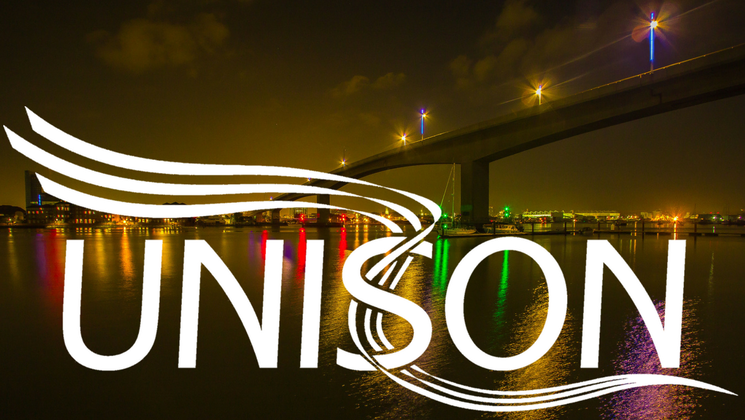 In your opinion, what could UNISON do to attract members who may have anti-union sentiments while sticking to the core trade union and left-wing values of collective worker action, solidarity and support? The new TV ad may help. UNISON could also survey existing members to see if they know all that UNISON have to offer and see if they can recommend new members. The union can always do more to get out and about in the area, like a roadshow and more upcoming events. Improve the website, send out updates and notifications to members. Hold smaller member meetings in local areas. Just keep trying to get members involved. If you would like more information about becoming a UNISON member, head to the national website or contact the branch.